Flexible work is very popular with policy-makers nowadays. But is flexible work the panacea many claim it to be? For her PhD Kim Bosmans researched the impact of flexible work on the mental well-being of employees. 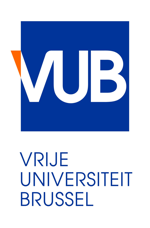 Kim Bosmans (°1987) graduated in 2010 as a master of sociology at the Vrije Universiteit Brussel (VUB). That same year, she started her doctoral research on precarious employment and mental well-being at the Department of Medical Sociology, with the support of the FWO – Fund for Scientific Research Flanders. Currently she is a postdoctoral researcher at the research group for population studies within the Department of Sociology of the VUB.